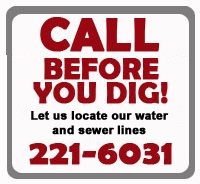 Waste Water Treatment Plant - Jasper Waterworks & Sewer Board, Inc. 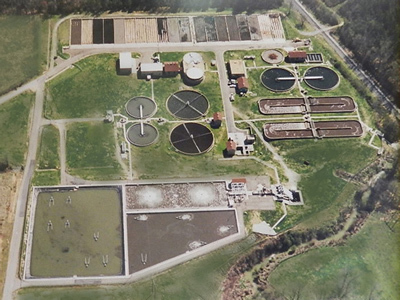 The Jasper Town Creek Wastewater Treatment Plant is currently permitted to treat 4.8 million gallons per day of municipal, commercial and industrial wastewater. The original treatment facility was constructed in 1961 with significant expansions and modifications in 1978 and 1996. The main components of the treatment process flow train include: an influent pumping station; screening and grit removal facilities; primary clarifiers; aeration basins; final clarifiers; disinfection by chlorination; and de-chlorination by addition of sulfur dioxide. Biosolids produced as a by-product of the treatment process are processed by both anaerobic and aerobic digesters and sludge drying beds, and are ultimately disposed of in landfills. Wet weather flows above the permitted treatment limit are held in equalization basins and then released into the process as influent flows return to normal. The Board is currently evaluating modifications to the treatment processes and biosolids handling facilities to achieve more efficient and cost-effective operation of the treatment facility and ensure continued compliance with all regulatory requirements. Raw sewage enters our plant, but it leaves as CLEAR,COOL, WATER! Copyright © 2019 Jasper Waterworks & Sewer Board, Inc.. All Rights Reserved.